As a professional in IT sector, you all would agree to the fact that Cloud Computing is the most flamboyant technological evolution witnessed in the field of technology. This technology has been fastest adapted for personal as well as for business purposes. If we have an online presence, we are using cloud, irrespective of the purpose. Thus, the use of internet today cannot be thought of without cloud. With such a tremendous growth, the cloud platform is offering huge opportunity to the professionals for career growth. Microsoft Azure certification is one of the ways to get a great start in the Cloud domain. While talking about career in Cloud computing, we just cannot ignore the importance of certifications in this domain. Since, certifications are the validation of the updated knowledge in a particular domain, you will always feel privileged being a certification holder. There is no doubt over the importance of certification over the hand-on-experience. Coming back to the Cloud computing certification, we must look for the preferred certification to stand tall among our peers. 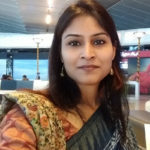 There are many certifications available for a better career in cloud and here I am specifically talking about Microsoft Azure Certifications. Attending to Microsoft Certification Training would be an additional help to get through your exam. Before we get into the details of the benefits of this certification, let’s quickly understand what is Microsoft Azure? For the past seven years Azure is doing well in its focused sector of cloud services. – many different programming languages, tools and frameworks, including both Microsoft-specific and third-party software and systems are supported by it. Compute, Web, Data Storage, Analytics, Networking, Media and content delivery Network, Hybrid integration, Identity and access management (IAM), Internet of things, Development, Security, Artificial intelligence (AI) and machine learning, Containers, Databases, DevOps, Migration, Mobile, and Management. Azure charges as per customers’ service requirement. This pricing is an important reason to give it strong hold in the cloud service. Flexible, protected, secure, and performance-efficient storage benefits are offered by Azure. By using Azure applications that run efficiently, unaffectedly and scale from millions of clients can be made without extra coding. simple portability and a dependable, reliable stage between on-premise and Cloud is encouraged by Azure. There is an extensive scope of crossover or hybrid associations including VPNs, CDNs, and Express Route associations offered by Azure which enhances the use and execution. This impresses the big business sectors. Azure offers an excellent mix of IaaS and PaaS Services. Organisation can outsource their framework on Azure through laaS and pay only for whatever they have used. They can make their web applications and settings without buying through Pass. Azure offers one of the best security services for the data thus, organisation are relaxed about the privacy of their data. • Microsoft Azure Analytics Manager, etc. 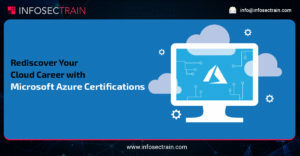 If you are looking for Azure certification classes to get a guidance to achieve this certification, you must get yourself enrolled to InfosecTrain. They have Azure Certification Courses for both end users and organisations that use cloud services. You can choose either regular or an online training as per your convenience. For more information please visit the official website of InfoSecTrain. How to Choose The Right Threat Modelling Methodology For Your Organization?